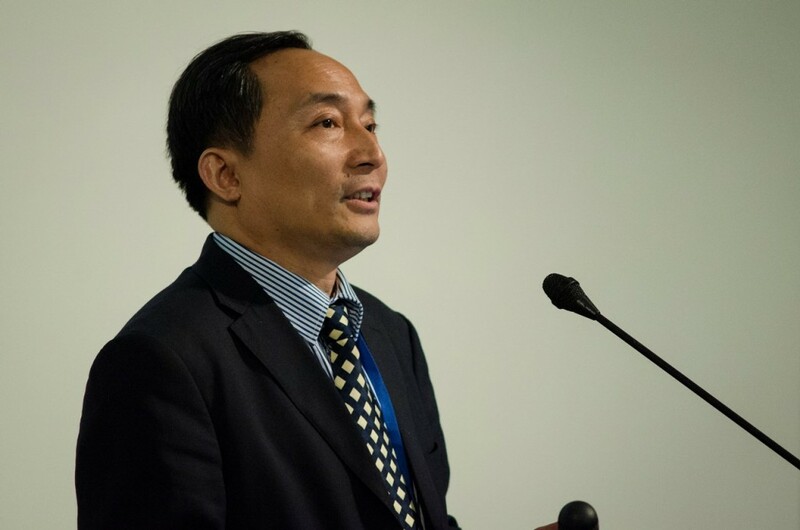 Professor Wanqin Jin was invited to attend the 8th IMSTEC in Melbourne, Australia in November, 2013. Professor Wanqin Jin hosted the conference with topic of gas and vapor separation on the 26th morning of November. He delivered a keynote lecture on “Preparation and application of MOF membranes”, who introduced the latest MOF achievement of his research group, new methods of MOF membrane synthesis and MOF application of gas, pervaporation and chiral compounds. Professor Jin’s report aroused great interest of all audience. 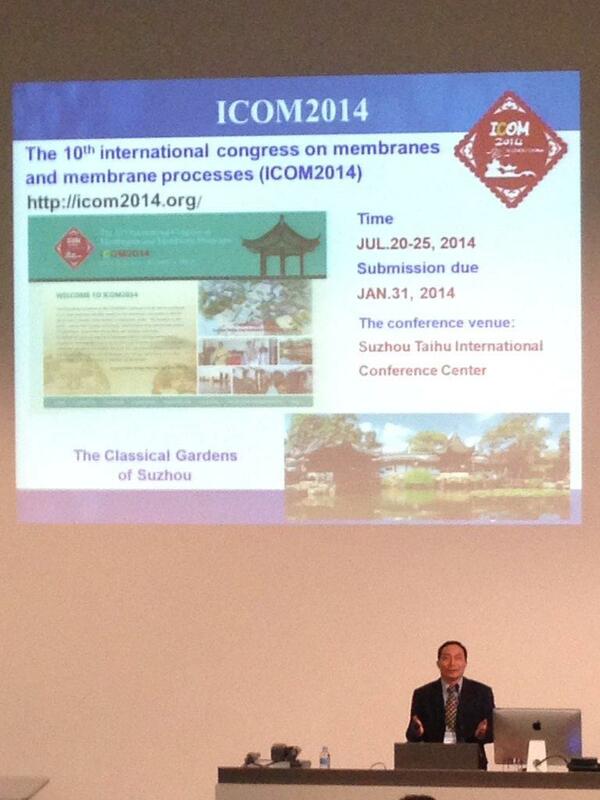 On the 28th afternoon of November, representing ICOM2014 organizing committee, Professor Wanqin Jin made a promotion on the closing ceremony that he hoped more foreign scholars would attend the biggest International Membrane Society to be held in Suzhou next year. 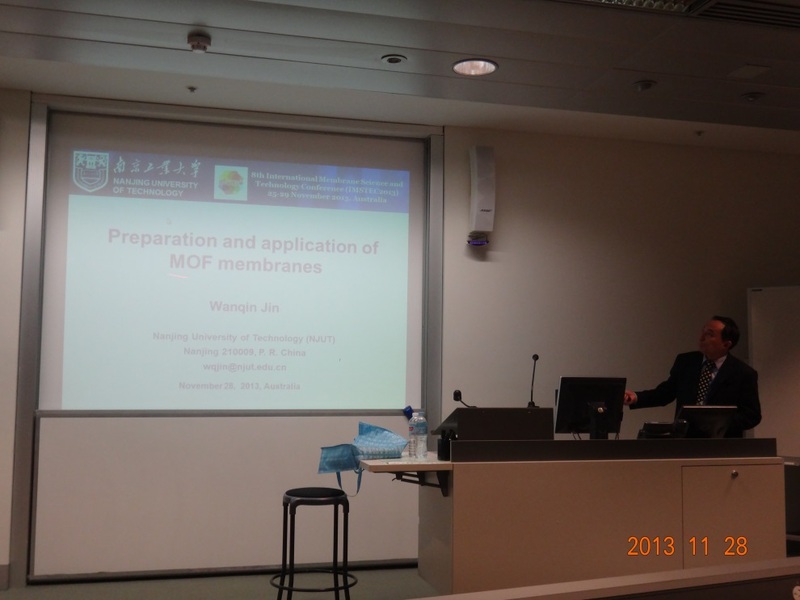 On 29th , November, Professor Wanqin Jin was invited to visit Department of Chemical Engineering of Monash University and attend the seminar on “Workshop on Porous Materials and Separation Membranes”, where he delivered the report with topic of“Organophilic Pervaporation Membranes for Sustainable Energy”, having introduced the hydrophobic pervaporation membrane achievement of the research group. Professor Wanqin Jin was delivering the keynote report on IMSTEC2013. Professor Wanqin Jin was making a claim on the closing ceremony of IMSTEC2013. 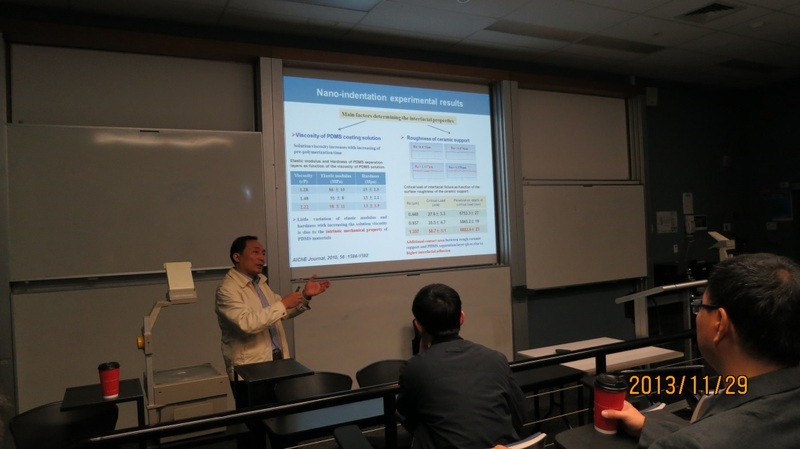 Professor Wanqin Jin was delivering the report in Department of Chemical Engineering of Monash University.